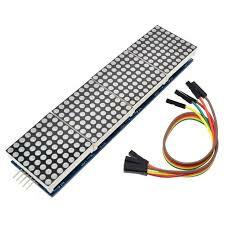 This Dot Matrix Display(4 in 1 display) is ideal for adding display functionality to your project. This Dot Matrix Display(4 in 1 display) is ideal for adding display functionality to your project. Display numbers and more with this Dot Matrix display.